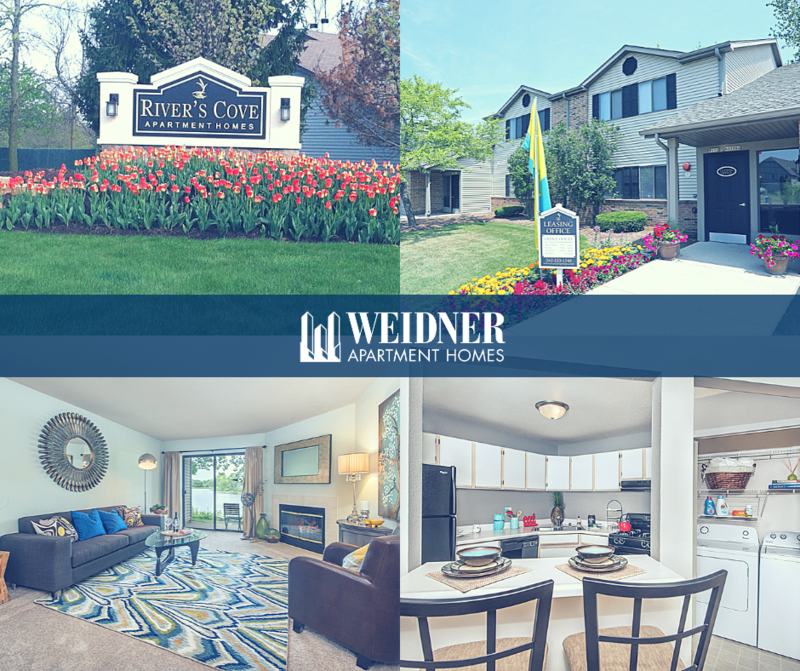 Weidner is pleased to announce the acquisition of Rivers Cove Apartments in Germantown, WI! Rivers Cove is the epitome of tranquil living, offering expansive views of the Blackstone Creek Golf Course and the Menomonee River. Picturesque walking and jogging trails are just some of the perks of this pet-friendly community. Residents also enjoy superb landscaping and grounds that feature a pond, courtyard and picnic area. Ranging from 907 to 1,200 square feet, each two and three bedroom apartment home features exquisite designer touches including a wood-burning fireplace, vaulted ceilings, walk-in closets, and a chef-inspired kitchen. From the convenience and style of the stainless-steel appliances to the sweeping views off the balcony, Rivers Cove offers residents upscale apartments for rent in Germantown, WI.